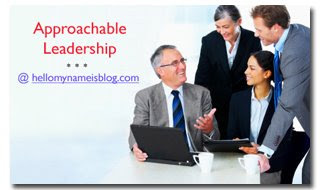 Attributes of Approachable Leaders, Pt. 5 ~ HELLO, my name is Blog! ATTRIBUTE #1: Have conversations that change people. ATTRIBUTE #2: Meet people where they are. ATTRIBUTE #3: Vortex people in. ATTRIBUTE #4: Share the spotlight. ATTRIBUTE #5: Respond to what IS. PICTURE THIS: You’re a beginning Bikram Yoga student. It’s only your third class ever. The room is sweltering. Sweat pours out of your body like a car wash. Muscles you didn’t even know you had ache and burn. Worst of all, your bottle of cold water is running dangerously low. To make matters more intimidating, surrounding you are all veteran students, most of whom are contorted into pretzel-like positions you’ve only seen in the Olympics. How would you feel? Uncomfortable? Hopeless? Ready to walk out of the room? Me too. In fact, during my first few yoga classes, I felt all of the above. I remember experiencing a combination of exhaustion and disappointment. I just couldn’t control my breathing. There was no way I could stay in the posture any longer. Which was no big deal. Happens to everyone. Thank you for listening to your body? But I messed up! I fell out of posture. Why would the instructor be THANKING me? And then, as I lay there trying not to pass out from heat exhaustion, it started to make sense. Although everyone “falls out of posture” from time to time – in yoga or in life – NOT everyone has the experience of an instructor – a LEADER – who positively responds to them without judgment, evaluation or criticism. But she didn’t. She thanked me for listening to my body. And I never forgot that. Are you constructive or harsh? Are you appraising or critical? Are you judgmental or thankful? Are you directive or dictatorial? Are you fascinated or frustrated? 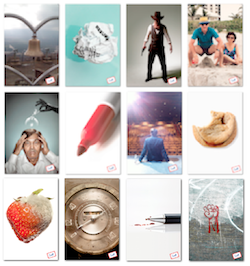 Are you descriptive or prescriptive? These categories of responses (not reactions, but responses) dance along the fine line of approachability. The challenge is becoming aware of how your words, actions and attitudes shape the behaviors people you serve. ASK YOURSELF: How are your words laying a foundation of affirmation and positivity? ASK YOURSELF: Do your words alienate or engage? Do your words sound like suggestions or orders? Do your ideas liberate or imprison people? ASK YOURSELF: Are you giving people permission or shutting people down? 4. It’s unexpectedly complimentary. Whenever you attempt to help, correct or improve someone’s behavior, always open with an affirmation or compliment about something they’ve already done correct. This paves the way with positivity and makes people more receptive to receiving feedback. ASK YOURSELF: What has this person done right that I could compliment first? Think of it this way: In college, do you remember doing the bobble-head-doze-off-jolt-back-awake move during lectures? How many times did that happen during conversations? Answer: Much less. ASK YOURSELF: Are you giving lectures or having conversations? Do you require progress or perfection? 6. It’s responsive instead of reactive. Reacting is a reflex; responding is a choice. As an approachable leader, if you want to monopolize the listening, don’t bulldoze. Don’t take over. Don’t try to fix or solve. And don’t add too much value to the conversation. Just dance in the moment and respond to the other person’s immediate experience. ASK YOURSELF: Is this an observation or an accusation? Is this an observation or an interpretation? And are you granting this person enough space to BE and SAY what is true? ASK YOURSELF: Is this an observation or a judgment? Are you giving advice, evaluation, or feedback? Are you informing people or controlling them? 5. Mutual honor and respect. 6. Responsive instead of reactive. 7. Non-judgmental, non-evaluative, non-critical language. Imagine what would happen to your organization if your daily leadership activities revolved around THOSE practices. Now if you’ll excuse me, I’ve got to get to yoga class. 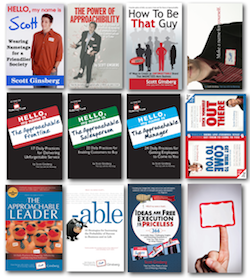 What do you think makes an Approachable Leader? For the list called, "8 Phrases That Payses to Reduce Emotional Reactivity," send an email to me, and I'll send you the list for free!